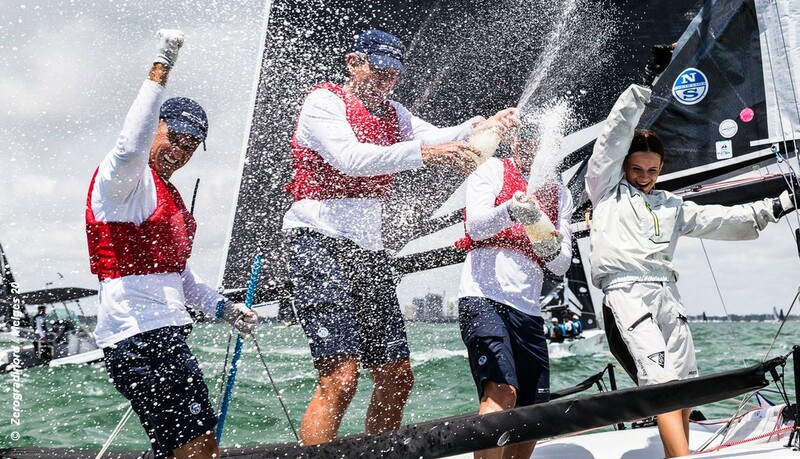 Alessandro Rombelli and the Italian STIG team of Francesco Bruni, Giorgio Tortarolo, and Tea Faoro are the winners of the 2019 Melges 20 World Championship hosted by the in Miami, Florida. HEARTBREAKER by Bob Hughes with Federico Michetti and Manu Weiller finished in second place, RUSSIAN BOGATYRS by Igor Rytov with Konstantin Besputin and Anton Sergeev, finished in third place. Daniel Thielman’s KUAI and Vladimir Prosikhin’s NIKA rounded out the podium. Tight competition characterized the championship; the top four teams were only a few points apart, locked in a tight battle throughout the final day. Onward and upward – The Melges 20 Class and the Melges World League now look to Europe and Asia for racing, then back to North America for next winter’s Miami Winter Series. The 2020 World Championship will be in Europe, and the 2021 World Championship will be back in North America.